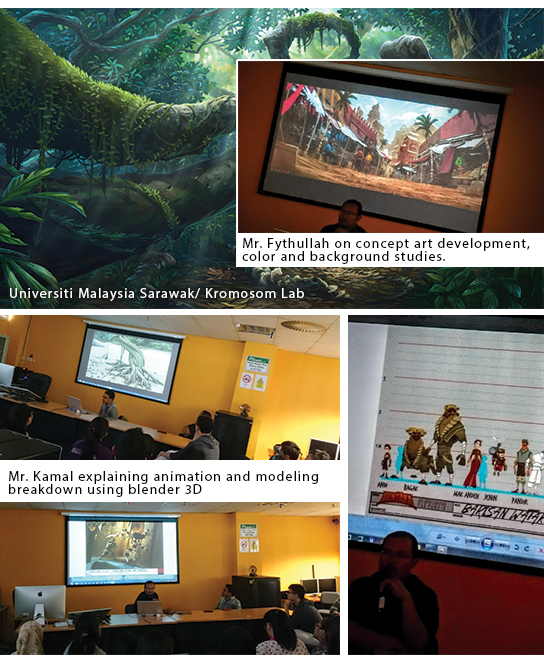 Visiting by founder of Kromosomlab, creator of Eicak the Series, Mr. Fythullah and Mr, Kamal to Animation Programme, Design Technology, FACA, UNIMAS. The duo shares the experience in creating TV series, process from pitching, pre-production to post-production. Thank you for your support to our programme!